Microsoft has released Microsoft Visual Studio 2010, which is the latest integrated development environment IDE for .NET Framework developers last week. First I get the free Microsoft Visual Studio 2010 download for Visual Studio 2010 Ultimate edition from MSDN. I download Visual Studio 2010 ISO file VS2010 Ultimate edition which includes Visual Studio 2010 full features. MSDN subscribers can also free download other VS2010 editions according to their requirements and needs. UPDATE: Unfortunately, the trial editions of Visual Studio 2010 are not available any more. So I've removed the download links. .NET Framework developers can use this powerful development tool and check the VS2010 features for a limited period by downloading the full Microsoft Visual Studio 2010 trial versions. Each Visual Studio 2010 download can be evaluated for 90 days for free without any limitations. But after the 30 days of following the installation, developers should register the VS2010 to obtain a free key which will let them try the Visual Studio 2010 edition for an additional 60 days period. You can easily download Visual Studio 2010 setup files from supplied download links. It is important to note that the Microsoft Visual Studio 2010 iso files vary from 408 MB to 2.28 GB according to the VS2010 Edition download. It is also possible to start VS2010 installation over the web using Visual Studio 2010 installer. UPDATE: After installing VS2010, Visual Studio developers can also download Microsoft Visual Studio 2010 SP1 beginning from the public release date 10 Mar 2011. Here is the Visual Studio 2010 downloads for free trial for 90 days. Each Microsoft Visual Studio 2010 free download link enables Visual Studio developers to download and install VS2010 and to work on Visual Studio 2010 for a period of 90 days for free. 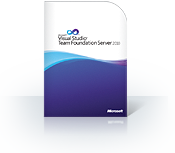 Follow the download links for free download Microsoft Visual Studio 2010 editions. 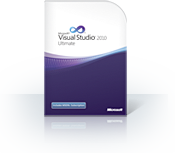 Microsoft Visual Studio 2010 Ultimate enables teams and developers as well as software architects, to architect, build, test, debug, and manage their software solutions within one tool. I consider the VS2010 Ultimate Edition as Visual Studio 2010 full feature edition since it has every feature like SQL Server Developer Edition for sql professionals. 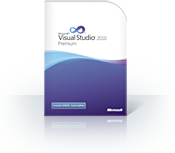 By downloading Microsoft Visual Studio 2010 Professional edition and installing the trial version, developers can try the build, test and debugging solutions of VS2010 Pro. You can download Visual Studio 2010 Professional Web Installer which has about 4.3 MB size using this download link. 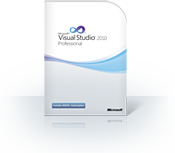 Additional to build, test, and debug solutions of VS2010 Professional edition the Microsoft Visual Studio 2010 Premium enables teams and individual developers to manage their software solutions. Test procedure is one of the most important processes that affect the software quality assurance. With the awareness of development teams, testing is getting more importance and teams or developers are looking for automotization testing tools for their requirements. 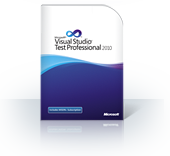 Visual Studio Test Professional 2010 is a product that challenges to help test teams and testing developers to debug code and collaborate the results with development teams. Download Visual Studio 2010 Test Professional Web installer from this download address. And download Visual Studio 2010 Test Professional iso file with a size of 408 MB from this download link. Microsoft released the most recent Visual Studio development tool IDE, Visual Studio 2012 for Microsoft .NET Framework developers on 29th of May, 2012 as release candidate (RC) version. IT professionals can find free download links at Microsoft Visual Studio 2012 Download for this most recent build of Microsoft Visual Studio.